What makes a “good” apology? How can a child “say it like they mean it” if they haven’t yet learned how to “mean it”? How much class time should a dance teacher take up with working through apologies when we have so much choreography and technique to get through in an hour? If you, and your fellow classmates and teacher, are perfectly imperfect…there will be a need for giving apologies sometimes. If you have gratitude and respect for your peers, students and teachers…there will be an impulse to accept apologies sometimes. 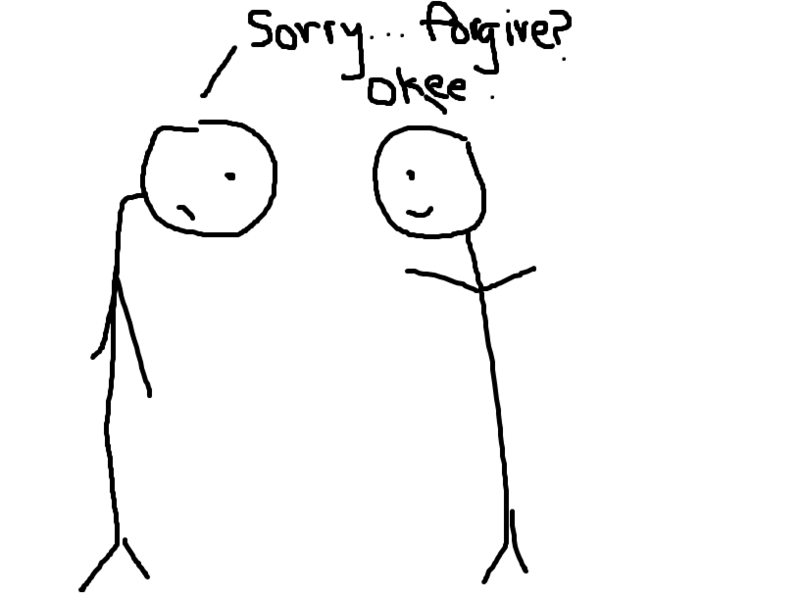 Ok, apologies are important, but what can I say in my classroom to elicit a good apology? The best guide to apologies that I’ve ever read is the post A Better Way to Say Sorry from cuppacocoa.com. It is well worth the read. The blog author explains that a good apology has 4 elements that both the offending and offended party must hear. What are we apologizing for? Why does that need an apology? How do I know you won’t just do it again? Are we still good with each other? The more specific an apologizer can be with their completion of the following phrases, the more sincere the apology will be. Student purposely hits/touches/bangs into my backside. Me: “Ok! Now we both know you know.” I flash a big smile to show the student they are forgiven, the student lets out a sigh of relief and we intermediately return to the dancing at hand.